Frozen – An adorable white and blue Frozen party is sure to please all its fans. 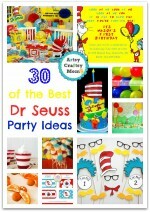 Here is a sneak-peek from karaspartyideas to help you set up a fabulous party for your little one. Mickey Mouse – Which kiddo doesn’t like Mickey Mouse? Here is a classic Mickey Mouse themed Birthday Party. From invitations to party favors and games, you will get the exact picture for the party. 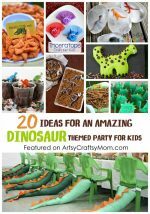 Toy Story – Check out this wonderful Toy Story inspired birthday party from petit delights. This is perfect for little Toy Story fans. Cinderella – Here is Ashley sharing how she celebrated her daughter’s birthday with Cinderella theme. Hop on to get more details of this Cinderella Gymnastics party! 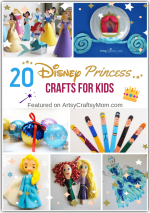 Disney Princess – If your loved one is excited for a Disney Princess party, then you can plan and create your own dream party with these cool DIY ideas from Meagan. Jake and the Neverland Pirates – I don’t know about you, but in my home the pirate themes are always huge hits. Check out this super exciting Jake and the Neverland Pirates birthday party with some DIY ideas too. Disney Planes – The kids are sure to get fascinated by planes of any kind. So why not throw a Disney Planes themed birthday party? 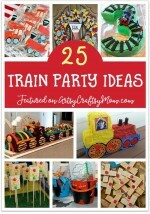 Here is an extensive collection of Disney Plane Birthday party ideas for you to enjoy. Winnie the Pooh – It’s an ideal theme for small kid’s birthday parties. The cuddly bear, the cute party favors and the yummy finger foods are fabulous ideas for a great Winnie the Pooh party. Disney Cars – There is something with boys and things-on-wheels! Make your young hero’s birthday memorable with Disney Cars themed party. Sofia the First – Sofia is a darling little girl who is everyone’s friend. Here is a Sofia the First inspired birthday party idea that works great for little girls. Big Hero 6 – Hiro and Baymax are the new faces for today’s kids. 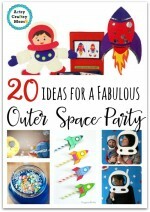 In case if you are planning for a Big Hero 6 inspired birthday party, be sure to check this out from busymomshelper. Muppets, Gonzo the Great – The Great Gonzo character from Muppets with funny blue fur, bug eyes, and a long crooked nose is someone the kids will go mad at. 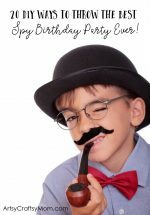 Angeli shares her ideas for a Superhero Gonzo to the rescue Birthday Party right here. What do you think of these themes. Which is your favorite? Leave a link if you had a Disney themed party at home for your kids..
Nice post. Liked the toy story birthday party theme very much.